Sorry I have been a bit slow this year its been a bit hectic at work. 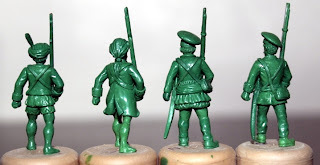 Here is a quick update of whats next - British and French Sepoys to be used in India between 1740 until 1760 or so. 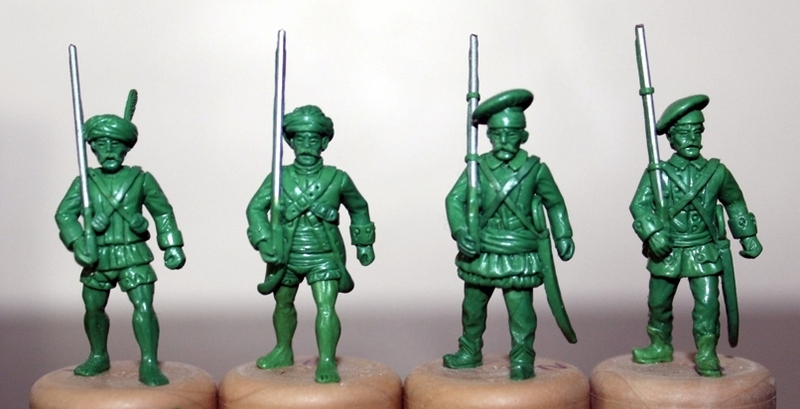 No one really know what these Sepoys looked like for sure, these miniatures are purely speculative based on drawings in some Osprey books. 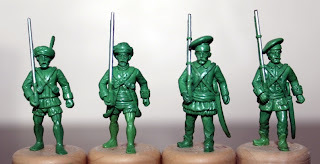 Headswaps for Archers and Early Sepoys/Peons are done as well. 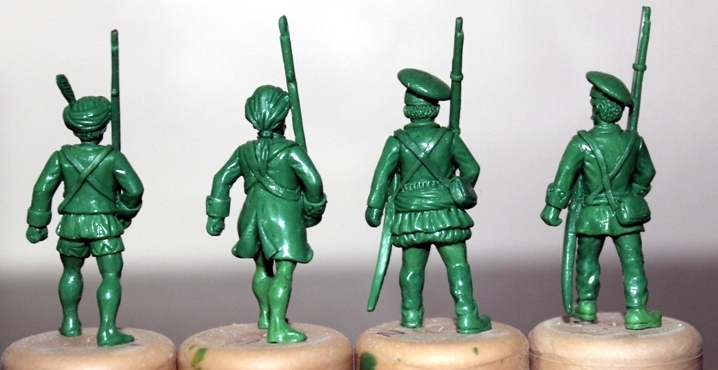 The multi part Infantry and Rocket men had to be reworked as I wanted to make some additional changes. I also had some minor changes made to the artillery crew. (more on that later). All the above will be released around the same time. I am thinking 6 weeks.